Very Good. 0006640869 ALL BOOKS SHIPPED WITHIN 1 DAY OF PURCHASE! Sendak, Maurice. Very Good. No Jacket. 4to-over 9¾-12" tall Quarto paperback colour illustrated. 48 pages Very Good condition No inscriptions. No dust jacket. Where the wild things are, is a wildly wonderful book. The kids that read this get to use their imagination on what the wild things look like and how they would move and moan and grown. I love that throughout the whole book the main character thinks that he runs everything and thinks that he doesnt need anyone to take care of him. Until the end when he realizes that he does need someone to feed him and tuck him into bed. Just like he did with the wild things. This is my favorite, so I was thrilled to find a good copy with a DJ in good shape. It arrived quickly enough and was well-prortected for the shipping. Well packed, swiftly delivered, and exactly as described. 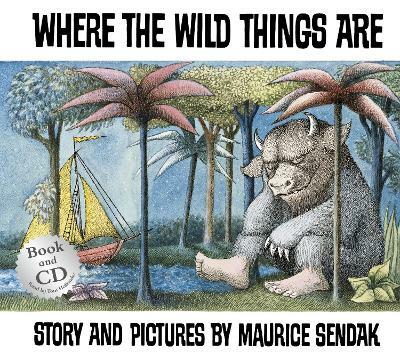 I liked it, our kids liked it, and now our grandson is enjoying Where the Wild Things Are. L-dor v'dor. This is a classic, and I sen it to all new babies,. The copy was perfect and came in good time.